Kimmo “K-SYSTEM” Kauppinen is one of the leading DJ-producers from Scandinavia. Currently working, among other projects, as in-house writer for Warner Chappell, he was also recently voted the “Producer of the year” by Finnish DJ’s. 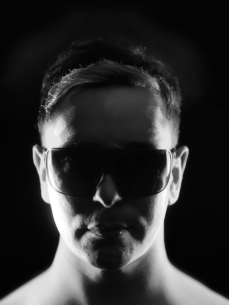 His tracks and productions have been released globally by some of the biggest labels in electronic dance music, including Warner Chappell, Sony Music, EMI, Ministry Of Sound, Blackhole Recorings, and Edel records, just to name a few. Most of his releases have topped dance and sales charts in Scandinavia, and get frequent play in the sets of some of the best known DJs in the world (Tiesto, Judge Jules). He has mixed chart topping compilations for the Scandinavian market, including one in the famous “Ministry Of Sound – Clubber's Guide to” -series, and “Radio NRJ – Party Planet” for most popular radio-played dance anthems. K-SYSTEM also produced and co-wrote Alex Kunnari’s incredibly addictive dancefloor-smashin hit of 2008, “Lifter”. K-SYSTEM's music has also been sampled by the globally recognized best-selling hip hop -artist, Akon, and the arguably fastest rapper in the world, Twista. Their single Twista Ft. Akon - On Top was based on the striking melody of K-SYSTEM's ”Sound of Arena”. The track was featured on Twista’s album ”Category F5”, released in July 2009. K-SYSTEM is also increasingly well known for his energetic performances as DJ, embracing his audience with the help his extensive experience to get any party pumping. K-SYSTEM has performed internationally as well as domestically, indoors and outdoors, giving him a versatility that underlines his professional expertise. If You are interested working with us, feel free to contact us (see contact details below).